Nelda Stucks is President of SCM Containment, LLC., the manufacturer and installer of their Patented Secondary Containments, SCM-FLOW® and L&S Construction, Inc., an underground utility company in Fort Worth, Nelda Stucks is President of SCM Containment, LLC., the manufacturer and installer of their Patented Secondary Containments, SCM-FLOW® and L&S Construction, Inc., an underground utility company in Fort Worth, and Co-Owner of Texas Eco Services, Inc., an environmental clean-up company, also located in Fort Worth. Being in business since l984, she has strived to be an example, mentor and good role model to all women. She believes that everyone should have an opportunity to make the best of themselves in their career and education. Nelda was raised in Odessa, Texas where she met and married her best friend and soul mate, Mark. She and her family moved to Burleson in l986. They have three daughters, Sharena, Kandace and Mandi. Sharena and Kandace currently reside in Burleson. Sharena and her husband, Matt Wilkins, have four daughters, Maloree, Kallee, Regan and Mattee. Kandace and her husband, Austin Wade, have two daughters, Lexee and Brylee. Their youngest daughter, Mandi, is married to Bud Hardin and resides in Cleburne. Nelda and Mark have been involved in and support many different facets of the community in their volunteer and fundraising efforts. She is a member of the Burleson Chamber of Commerce, served as the Treasurer of the Making It Happen for Kids Education Foundation and she supports many other organizations such as: Johnson County Child Advocacy. 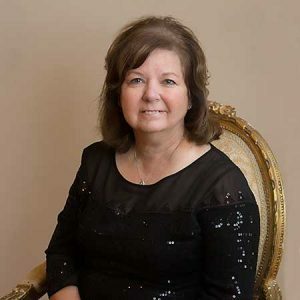 After being the recipient of the 2006 Award, she is actively involved with the ATHENA Society of Burleson and has served as President for the last two years.